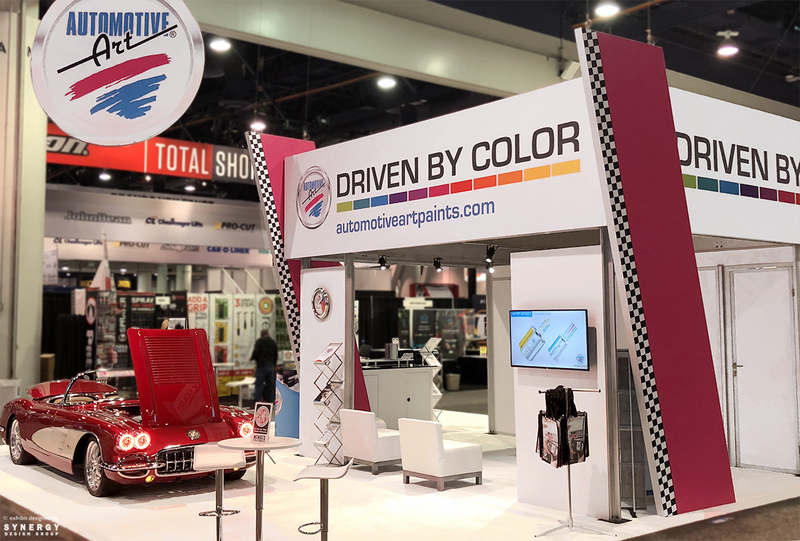 You can certainly feel the energy and excitement here at day two of The SEMA Show 2018 in #LasVegas, Nevada. 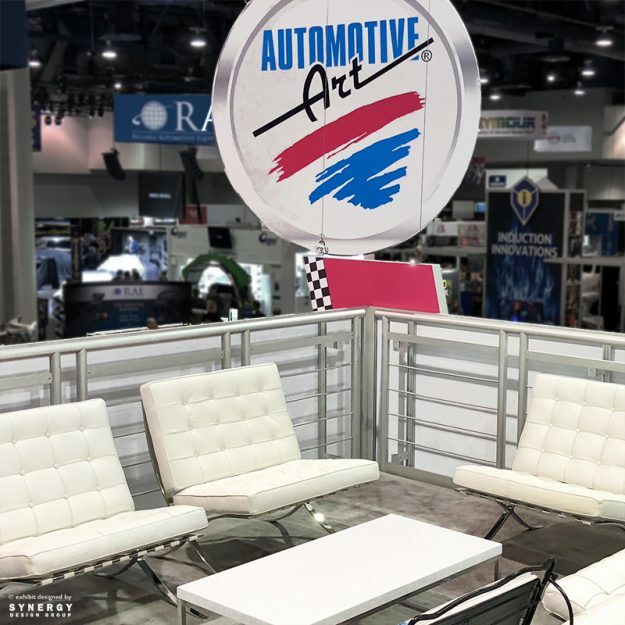 Our client Automotive Art dazzles with a double-deck exhibit. The addition of a second level allows our client simultaneous engagement with guests. 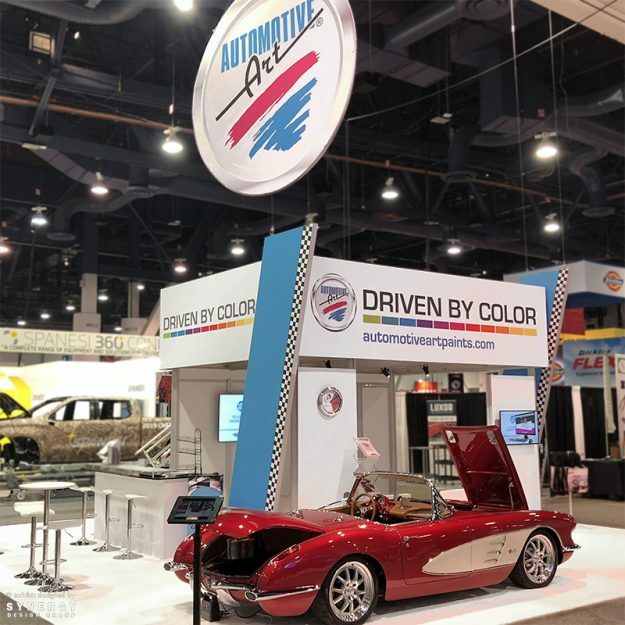 They present their cutting-edge automotive color matching technology downstairs and engage with VIPs in an upstairs lounge. 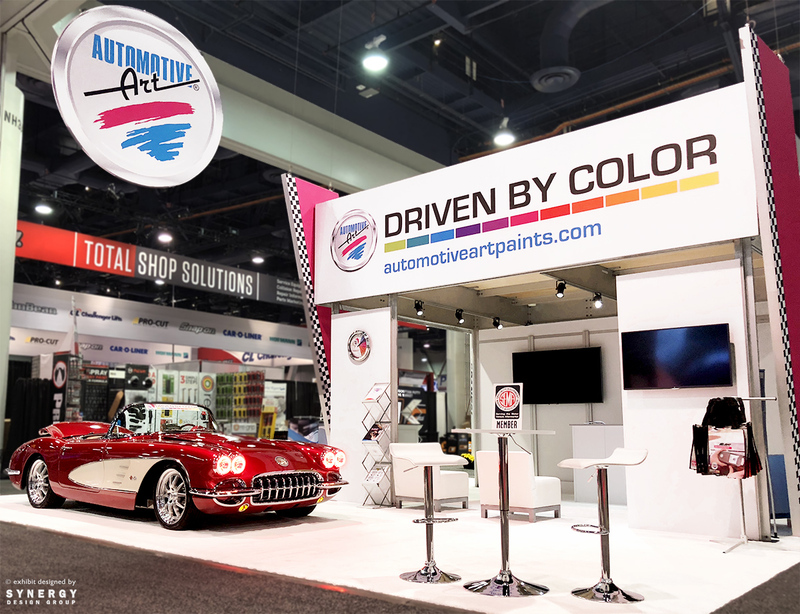 As a result, our client maximizes both their exhibit space and budget. 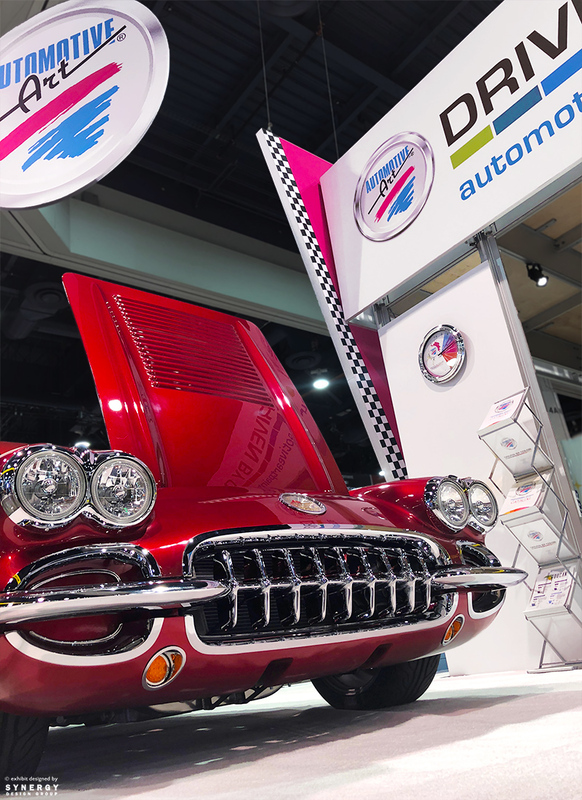 In addition, a rotating hanging sign increases brand visibility. Dereck Foster, Founder and Chairman of Automotive Art, shares a testimonial recounting his experience working with Synergy Design Group on his organization’s SEMA display.